On Sunday 15 November, the BBC, Battersea Arts Centre and Arts Council England worked with independent theatre-makers to create five pieces of theatre, which were broadcast live on BBC Four and iPlayer. featured performances from Gecko, Richard Dedomenici, Touretteshero and Common Wealth across a two-hour live broadcast on BBC Four. Islington Community Theatre created a fifth performance released exclusively on BBC iPlayer. The hashtag #LiveFromTVC was trending on Twitter in the UK during the live broadcast. 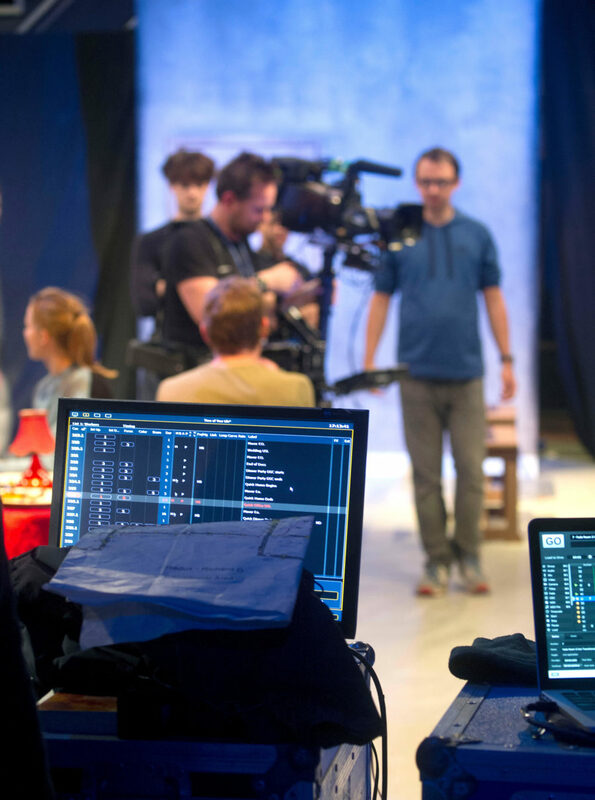 “We were very excited to bring live broadcasting back to Television Centre with four of the most exciting young theatre companies in the UK. Performances included by Gecko, telling the story of one man’s journey through a series rooms, each a vividly invoked moment of his life. by Richard Dedomenici recreated pieces of TV Gold, while by Touretteshero was a comedy of errors with artist Jess Thom. by Common Wealth is based on interviews with Muslim women boxers, and won The Scotsman Fringe First show for its challenge to stereotypes and celebration of fearlessness. The last performance Brainstorm by Islington Community Theatre for BBC iPlayer follows a sell-out run at the National Theatre and invites viewers to enter the lives, bedrooms and minds of teenagers.